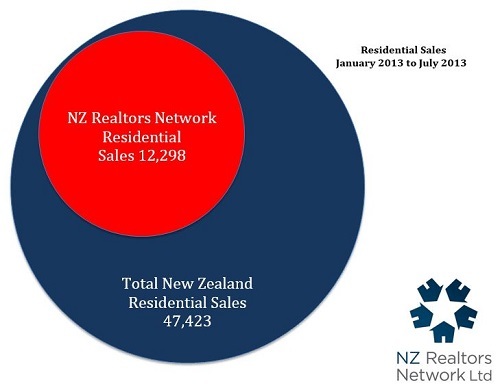 New Zealand Residential Sales for July are up 15% compared to July 2012, with 6,777 properties sold as reported by the Real Estate Institute of New Zealand. It is also the first time when comparing the number of sales for July against the same month in previous years that volumes are greater than pre GFC, when in July 2007 there were 6,660 residential properties sold. This indicates that buyers have confidence in making their purchasing decision. Whilst sales volumes are up the NZ Realtors Network report that there is still a greater demand than supply of property to satisfy buyers. Thus it is an excellent time for you to get your property onto the market as the group expect a greater number of listings to come available as we head towards Spring.